Lake Como, or Lago di Como as it is known in Italian, is located in the Lombardy region of Italy. It is just over an hour from Milan, and is therefore a popular destination for tourists and Italians alike. The main town of Como is the biggest on the lake. When looking for a bit more buzz than the quieter villages around the lake can offer, this is the place to come. Here you will find museums, plenty of shops, parks etc. A great thing to do when in Como, is to take the funicular railway to the top of the surrounding mountain upon which sits the village of Brunate. From here you get a spectacular view of the lake and on a clear day, you can even see as far as the alps. 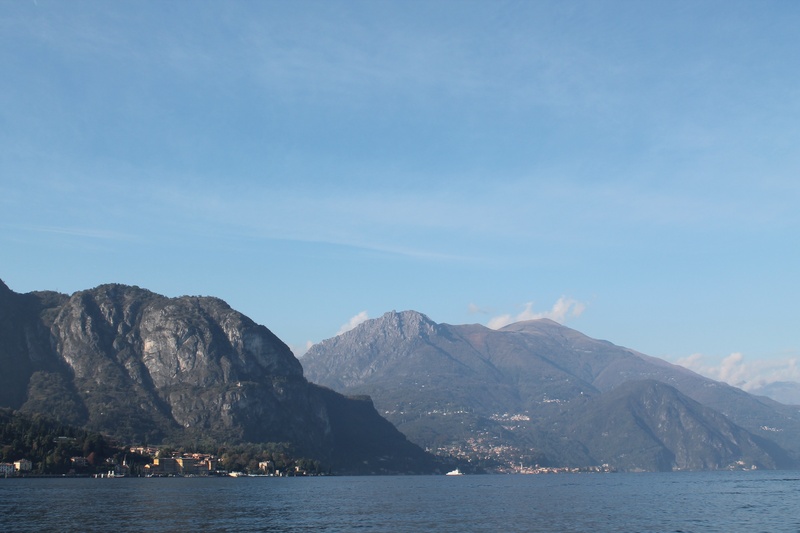 Further up the lake are a popular group of villages; Lenno, Tremezzo, Bellagio, Mennagio, and Varenna. Lenno does not have much to offer in terms of shopping, so a good day to visit would be on Tuesday when the local market sets up here. 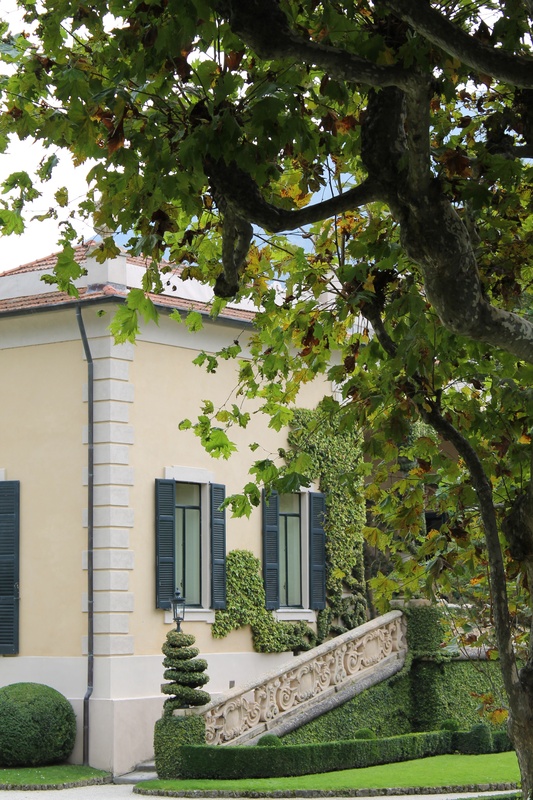 However the reason why Lenno is popular is because of the ‘Villa Balbianello’. This is a spectacular villa and gardens situated on the cliff of Lenno, reached by a brisk 20 minute walk from Lenno, or by a 3 minute water taxi ride. I would highly recommend this as a place to visit, and if you conquer the 20 minute walk, there is a scrumptious gelato shop waiting for you upon your return in Lenno! 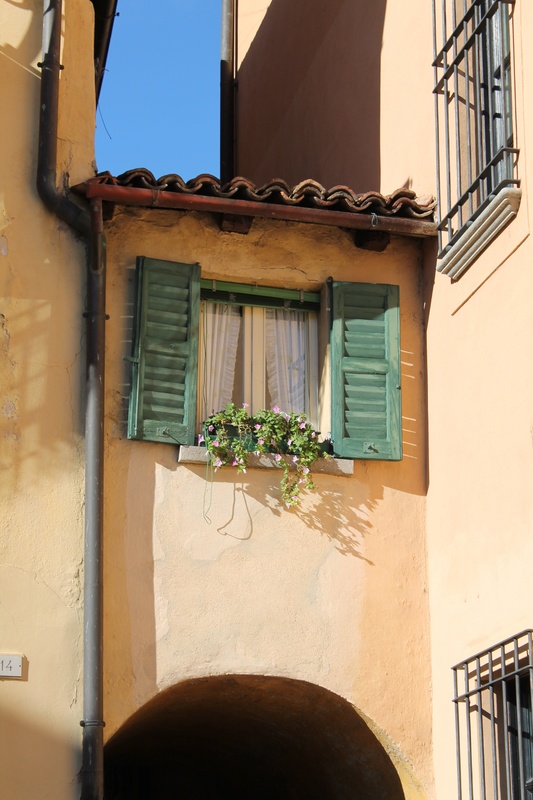 Tremezzo again is a quiet village, with its point of interest being ‘Villa Carlotta’. Inside the villa is a museum, but the gardens are the true highlight. Situated on a slope, the views are breathtaking from the top, with beautifully landscaped gardens to match. Although the gardens are wonderful throughout the year, I visited in October when most plants had already flowered, so if visiting Lake Como in the summer, a trip here is a must. 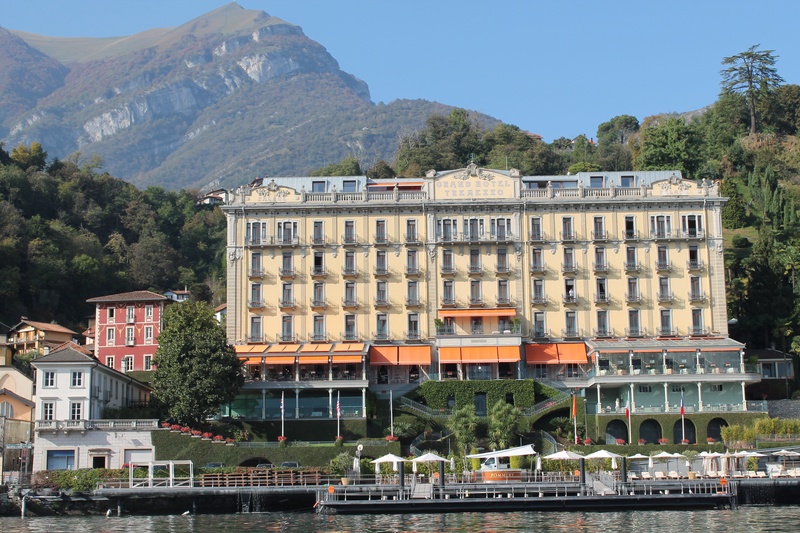 Also in Tremezzo is the iconic ‘Grand Hotel Tremezzo’. This hotel oozes style with its sumptuous interior which combine both classic and modern designs perfectly. The spa here is also of utmost quality, with drop glass windows overlooking the lake from its state of the art hydrotherapy pool. Menaggio is a larger village than Lenno and Tremezzo with both more shops and more hotels. Half a day here is enough, but a tip would be too leave time for lunch at Hotel Corona Ristorante. This restaurant is positioned in the main piazza under the ‘Hotel Garni Corona’. The restaurant overlooks the lake and serves traditional Italian cuisine. Of all the food I ate in the week I was here, this was some of the best due to its simplicity. Varenna is another village to visit to while away half a day, so my advice would be to spend the morning and lunch in Mennagio, and then make the short ferry trip over to Varenna for the afternoon. Varenna is probably one of the prettiest villages on the lake, and has a charming little walkway around the edge of the lake which connects the two halves of the village together. There are plenty of restaurants, cafés and ice cream shops along the waters edge to stop and enjoy the sunshine and watch the ferries coming in and out. 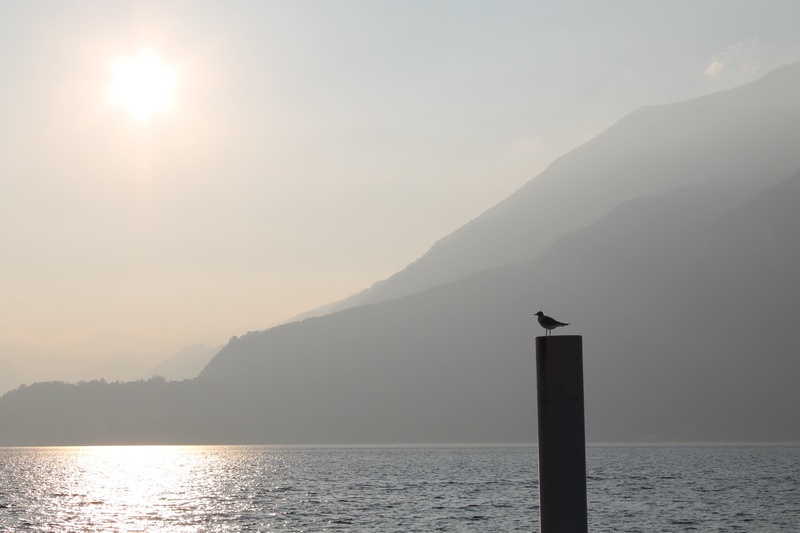 In my opinion, what sets Varenna out from the other villages is its independent artisan shops. Whether this be pottery or watercolour, you are sure to come away with a souvenir from here. Finally, the village of Bellagio, otherwise know as ‘The pearl of Lake Como’. This is a popular tourist destination, so don’t expect the same calmness as the other villages on the lake. Famed for its silk production, there is an abundance of shops selling silk scarves and any other item that can possibly be made out of silk! 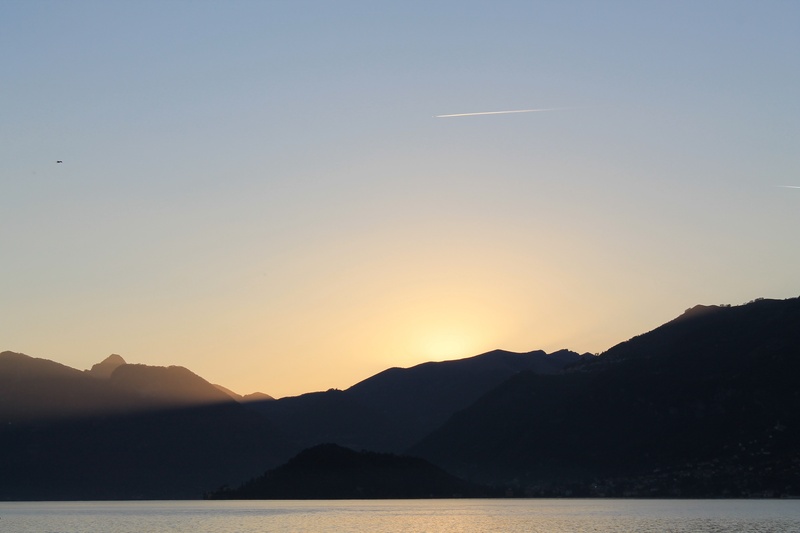 There is plenty to do here from a visit to the ‘Villa Melzi’ gardens to wandering through the romantic cobbled alleyways. A day is certainly needed to experience Bellagio to its full extent, particularly if you intend to include a good bout of shopping. If you are really looking to treat yourself, a visit to the michelin starred restaurant ‘Mistral’ at the ‘Grand Hotel Villa Serbelloni’ should most certainly be on the list. The food here is exceptional, and starts from the moment they bring you the bread basket (which is a meal in itself! ), the flavours are outstanding. Another wonderful place that’s on my bucket list! Great post and photos of your trip…makes me want to jump on a plane right now! Thanks! It really is a lovely place to visit, perhaps even combine it with a few days in Milan?